We have a house point system to help promote positive behaviour and team spirit amongst our children. We have 4 different house colours to keep the system simple for our children. Our four houses are different colours - blue house, yellow house, green house and red house. Each child in school is placed into one of the four houses when they join us Reception - and all the staff members are given a house colour too. We aim for siblings to be in the same house to avoid confusion. Children can earn house points from any of the school staff for positive behaviour, excellent learning, being polite and well mannered, helping other children an so on. These points are collected in different ways in the classes but they are all supporting each house. On Thursdays the year 2 children will count that weeks points. The results will then be announced on Monday mornings during collective worship and the winners coloured ribbon will be tied on the house cup for the rest of the week - this is displayed in the hall. We love positively rewarding the children in school and recognising and rewarding good behaviour and learning and we always want to encourage team spirit in our School Community. 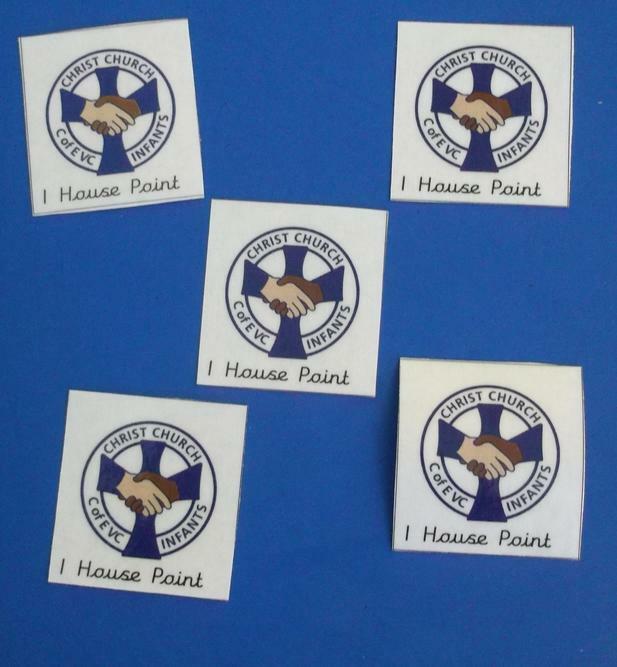 This year we have had a change in the house points system and as such we do not have house captains for this school year but we hope to encourage our Year 2 children to put themselves forward for this role again in September, when we hope to have a number of volunteers for this very important job!